It’s been a tough couple of weeks for me professionally and when things aren’t easy we need strategies to cope or ways of easing the stress or strain. For me, music is an avenue to escape for a while. I have a large collection and range of music from hip hop to folk, from grunge to pop. Music can make me laugh, cry, dance, relax and at times reflect. I am often drawn to singer songwriters who tell a story and rouse imagery. Josh Pyke is brilliant at this and it was while listening to his Memories and Dust that I took a very deep breath and found a sense of relief. I consider myself a fairly strong, resilient individual. I’ve had many emotional and professional challenges including the loss of both my parents and I continue to focus on what’s great in my life. 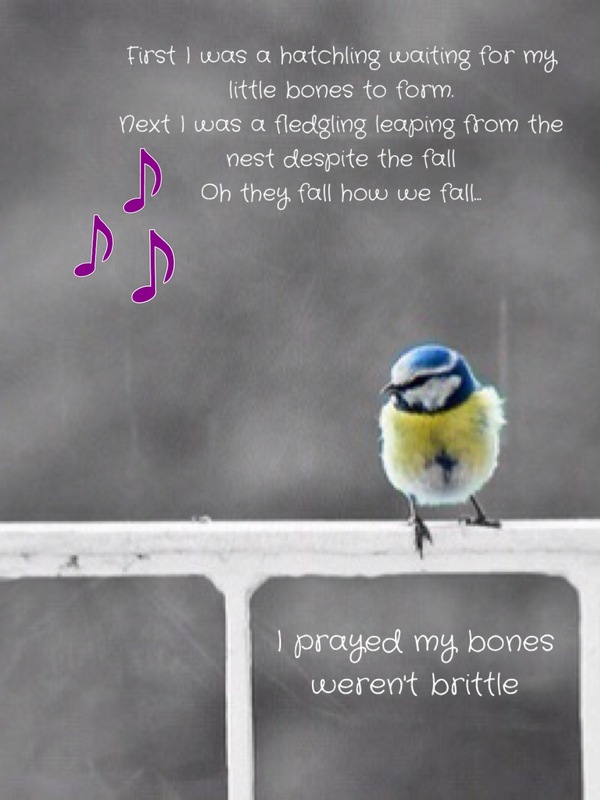 These lyrics remind me that we can at times be fledglings who fall, hoping our bones aren’t so brittle they break. I am learning that being vulnerable is not a bad thing, it’s how we manage during and after such time that will show our constitution. Along with music I lean on my amazing circle of influence. These people play a range of roles for me. Years ago, I could pick up the phone and call my mother and in her, I had someone who would listen, who understood, who could give wise advice and at times when I needed it, just let me be sad. When my mother passed away, it took me a while to figure out how and with whom I could debrief or be vulnerable. I have never felt comfortable asking for help, or confessing to feeling overwhelmed. What I have come to realise is that I have amazing people in my life who fulfil different roles to help me manage during times of hardship or tension. The past week, these people have brought me back to life, helped me “shake it off” and face a new day with the conviction and energy I normally approach each day. For this I am truly grateful.